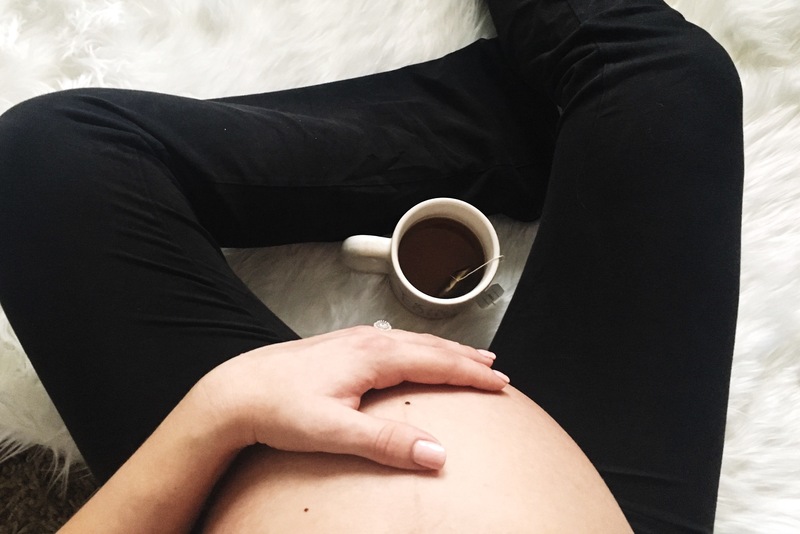 I am almost through with my first pregnancy and already wishing there were things I would have done. I honestly thought I would have been better at documenting my pregnancy than I was. I didn’t take weekly or even monthly photos of my growing belly or write down memories and symptoms I have experienced. Between all of the holidays and events that have come and gone, I allowed time to get away from me. So here I sit, due any day, sipping my tea and reflecting on the last several months and years to come. From the moment I discovered I was pregnant, I felt a rush of different emotions. I was excited, nervous and in complete shock. These feelings haven’t gone away during the last nine months, either. It is all still so surreal to me that our lives are going to change forever in just a few short days. I am so excited to meet this little girl I’ve been carrying for so long and to be honest, fitting back into my normal clothes won’t be such a bad thing either. I do get sad thinking that when she makes her appearance, I am going to have to share her with the world. Despite being jabbed and kicked constantly, I’m going to miss feeling her movements inside of me. It’s also a bit intimidating- the unknown of what is to come. Things are going to change and I will have a tiny human fully relying on me to keep them alive and well. Little one, I wish you knew just how treasured and loved you already are. You have a family who will do anything to protect you and make sure you are always taken care of. I hope that I can be as good of a mother to you as my mother is to me and pray that we will grow to be best friends throughout the years. I hope that you never forget that I am on your team. I won’t discipline you to hurt you or make you miserable but because I love you and care for you. I pray that you will always follow your dreams and never let anyone tell you they are too big or impossible to achieve. I will support you and always be your cheerleader. You have an amazing father who will set a beautiful example for you of how a man should treat a woman. He loves me very much and I adore how much he loves you already too. You are worth far more than rubies and your value is in who Christ says you are, not what boys or other girls might say about you. I am looking forward to watching you grow and become the incredible little girl I know you will be. We are so thankful that God chose us to be your parents. We can’t wait to begin the next chapter of this adventure with you. Lovely. Thank you for sharing. I look forward to meeting the lovely Charly. Ah…… Back to sitting here and waiting for the news.